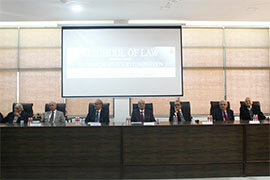 A Law Program which compiles two degrees to boost your career. It's Our Job To Make You Think The Unthinkable! 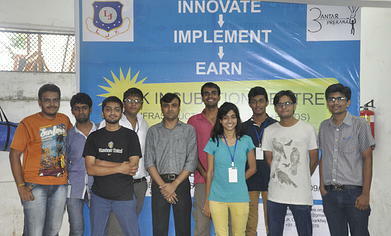 5-year Integrated undergraduate (B.B.A LL.B) Programme. Lok Jagruti Kendra (LJK) is a charitable trust and registered society founded in 1980 by eminent academicians, professional and distinguished personalities from across the society. L. J. stands for 'Lok' (people) and 'Jagruti' (awareness) and has been envisioned as a key in education and social development by promoting and nurturing creativity, scholarship, innovating, and excellence through a chain of quality institutes. LJK is running more than 22 institutes offering diverse range of general as well as professional programs from diploma level to under-graduate to post-graduate level. 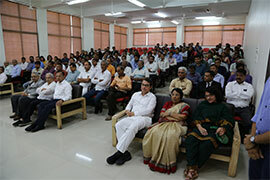 It is functioning from two campuses in Ahmedabad, with over 700 well-qualified and experienced faculties drawn from across the country to train over 12000 students. 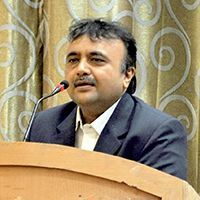 The Lok Jagruti Kendra's idea behind starting the school of Law is not just to produce degree holders in law but to produce Lawyers who would pratice in courts of law. In view of globalised scenario, the institue's trust areas would be cyber crime, forensic law, legal communications, skill acquisitions in interpreting laws.. 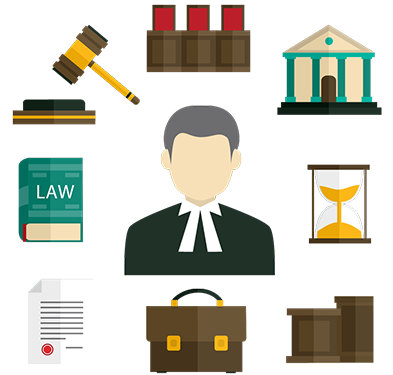 Besides full-time faculty, the institute has plans for large scale involvement of eminent lawyers practicing in local courts, high courts and supreme court. 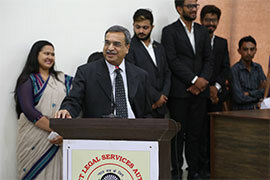 The institute also proposes to introduce a pedagogical innovation -"Lawyer on wheels"- under which the students will go to interior villages for creating legal awareness as well for providing legal help to the socially and economically backward classes. 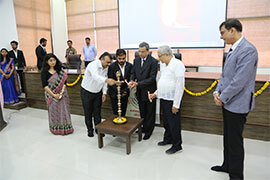 The institute will provode a unique learning experience to the students. Owing to the recent demonetization of 500 and 1000 rupee notes by the government and the hardships which the teams are facing to get the Demand draft from the banks due to the rush, we are accepting the cheques in place of DD. 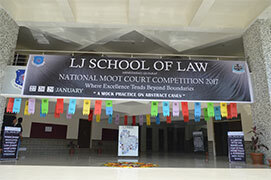 Cheques shall be drawn in the name of "L J School of Law". 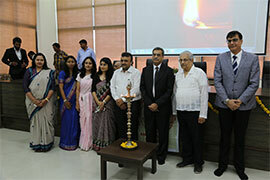 The students and teachers are highly enthusiastic to develop the college. 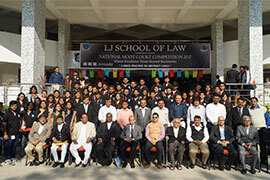 The LJ School of Law provides them the best platform to excel in the world of higher level academics." 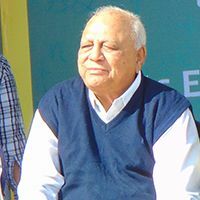 "From Peerzada Sir I've learnt to efficiently manage and run this organization. His strong background of academics and management have helped me immensely. By staying connected and accessible to every stakeholder of this organization, I utilize the strength of every person. The friendly culture at LJSL allows each student to give their 100% in every task, be it academic, cultural, sports or social. This is one aspect that’s unobserved in other institutes. We strive to build LJK as a platform where every student undergoes overall personal and professional development."